If IP and intangibles are to be given any consideration within credit decision-making, tools to identify and describe the actual assets (not merely evidence of expenditure) need to be embedded within the lending process. Businesses must use them, and lenders must understand and take note of them. This step will have the wider benefit of boosting IP awareness amongst the business community as a whole and will establish base data for the possible future use of IP as ‘full’ security. The first steps are to provide a means for companies to identify the assets they own, and to build information on IP and intangibles into the templates companies use when presenting information to prospective funders. Whilst immature markets mean that disposal of IP for value is not always straightforward, the most important step in harnessing IP is to acknowledge that its business value is not nil, and therefore requires active consideration within lending and investment decisions. Robust approaches to determine the value of intangibles exist in the same way as for tangible property and are now included alongside them within the Royal Institute of Chartered Surveyors’ Red Book, regarded as a banking industry reference point. The obstacle that must be addressed here is to demonstrate, reliably and repeatedly, how an SME’s ‘real’ IP and intangibles may deliver value which bears no relation to anything that may be called an intangible on their balance sheet; this generally only shows a sunk cost. IP and intangibles that are worth something are, by definition, unique. Because the assets are not commodities, checks will be needed to create confidence that the ownership and quality of the IP and intangibles are understood, that they contribute to cashflow (particularly in the case of debt finance), and that their maturity is in line with what it would be reasonable to expect, given the development stage of the business. These checks are unfamiliar to most lenders: investors are more practised at them, but it is clear that they too face challenges in obtaining and assessing appropriate data. Guidelines will involve providing templates, training and/or access to professional advice at a cost lending margins can support, within a turnaround time that meets business requirements. Once IP and intangibles are captured, assessed and verified, it becomes possible to create a proper and meaningful interest over them, beyond a simple floating charge. This is not happening at present; there is no real notice of these charges, leaving many lenders exposed to unnecessary risk. Proper controls are an essential precondition if lenders are to place any reliance on the value inherent in IP and intangibles – which in turn benefits the borrower. Legal templates and the resource toolkit will help lenders to achieve this at modest cost, firstly by providing appropriate wording for the instruments, and secondly by providing guidance on the procedures which must be followed when recording them to ensure their effectiveness. The development most likely to transform IP and intangibles as an asset class is the emergence of more transparent and accessible marketplaces where they can be traded. This is a domain where services must stand or fall on their commercial merits; however, the available infrastructure needs to support rather than impede their establishment. A parallel lies in the way value has been added, cost reduced and enforcement activity enhanced across a range of motoring-related services by facilitating access to data held by the Driver and Vehicle Licensing Agency. 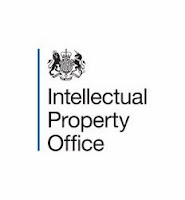 As IP and intangibles become more clearly identified and are more freely licensed, bought and sold (together with or separate to the business), services available to register and track financial interests will need to be improved. This is not a job for government - but solutions will require the co-operation of official registries and the establishment of administrative protocols. IP does not stop being important once credit is granted. Despite being long established, the asset class is unfamiliar in the lending context. Businesses need to understand how to use and protect it so that risk is reduced. Financiers, too, will require assistance in motivating and monitoring appropriate activity; as examples, there could be a role for the introduction of ‘milestones’ within payment schedules (as commonly used in equity and venture debt) and periodic impairment tests. The proposed toolkit needs to include measures to inform and encourage SMEs to adopt appropriate IP management practices. Alongside certain guarantees, access to appropriate insurance policies to guard against unforeseen events could greatly increase banking confidence in adding further weight to IP and intangibles within the lending decision. Evidence provided to this report indicates there is private sector appetite to provide these solutions, if lenders are willing to create the demand. More detailed dialogue on the requirements of both lenders and insurers is urgently required, to ensure that commercial sector activity is able to provide workable and affordable solutions. Recent financial upheavals have triggered something of a return to first principles in lending and a greater emphasis on assets for business finance (reflected, for example, in ‘challenger’ bank activity). This greater emphasis on assets needs to be extended to include IP. Alongside mainstream lending, where EFG is an obvious area of focus, asset-based and alternative financing methods should be prioritised for IP-backed finance interventions; these are the parts of the industry most accustomed to understanding and assessing individual assets and their value. IP rights can be well suited to securitisation (patents, trade marks, registered designs and copyright portfolios). Given the successful track record of venture debt, more work is needed to understand onshore and offshore fund appetite to support investment in IP-rich companies, working with managers that have the necessary expertise. This work fell outside the scope of the current IP and finance project, but is clearly desirable as a follow-up stage. 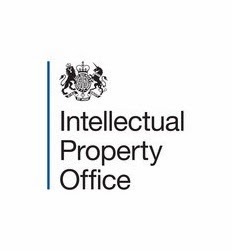 The Intellectual Property Office exists “to promote innovation by providing a clear, accessible and widely understood IP system, which enables the economy and society to benefit from knowledge and ideas”. It therefore has an important role to play in scrutinising Government and finance industry initiatives to boost lending, to ensure that the assets produced by knowledge receive appropriate consideration. As usual, readers' thoughts and comments are warmly welcomed. This is very interesting. However it's a little bit tame in its proposals. It admits it does not advocate changes to legislative framework, policy priorities or accounting standards. I suppose the UK has already rejected Bitcoins, and so the slightly lukewarm approach is understandable. The US seems much more trigger-happy with legislation, and I think that is a better approach to getting things done. The report does not seem to advise a taskforce which will implement its recommendations, and so I wonder what will happen next.